House, 4 Bedrooms, 3.5 Baths, Sleeps up to 20 , For the cost of renting kayaks! Not just a home rental, but a Private Island Complex in the Ozello Keys. Experience the Real Florida here on the Nature Coast; only minutes from Crystal River and Homosassa Springs. Just 30 min from Scallop beds. Saving you about 2 hours a day on your trip in and out. T tops will not go under 7 ft bridge. We have lots of things no other rental offers like 45' tiki hut with music system ,disco lights,wet bar, 2 spas, 45' pool with 2- 32' waterfalls, all LED light. Almost 3 acres of yard with 180 yard lights, Fire ring with wood each day. Private dock for up to 5 boats. Here at Paradise Found Island we strive to make your island adventure the best it can be. We are one of the few property with help on site to take care of anything that goes wrong quickly! Land bridge access with electronic security gate gives you the privacy and convenience of driving to/from your own private island with amenities you won't get from any other home rental! Very little traffic noise to hinder the awesome wildlife and beautiful serenity here. Swim or relax in one of the 2 spas or the 45’ solar-heated pool with 2 - 32’ waterfalls and wet bar. Relax by the bonfire ring (wood included with your stay), watch one of Mother Nature’s night shows, unhampered by city lights. All linens, towels, and all cooking utensils, including glasses, dishes, pots and pans are furnished in both units The upper unit has a full kitchen with dishwasher, microwave, stove and side by side refrigerator. The lower unit has a full kitchen with microwave, stove and refrigerator. When renting both upper and lower homes your group will be in Paradise*. *Caretakers on property to take care of any needs you may have. When you rent here, you rent an island retreat complex with many amenities. Be sure you know what is included with your rental, as we have become aware of others making it appear they have enough kayaks for your group; most have 1 or 2 at best, whereas we provide 14. Whether it's paddling with dolphins or exploring some of the 300 islands with one of the 14 kayaks/3 canoes that come at no extra charge, this alone could save a family of 16 more than $800 a day! Rent a private island, not just a home-in-a-row on a canal. 360 degrees of open water views with very few boats going by! We also can set you up to snorkel with the manatee or have a private all day tour of Crystal River, including snorkeling and fishing on your own private pontoon boat with your own licensed guide. Make this the vacation of a lifetime for just a few dollars more. Sheets for all bedding. 15 towels per home Coin-op washer/dryer on site. Upper unit has a dishwasher. Both units have a Side by Side. E-mail to see way more info. FREE use of 14 kayaks/3 canoes (enough for 23 to paddle together ~ save hundreds a day in rental fees!) 45' solar-heated pool with wet bar 2 32' lit waterfalls into pool 45’ Tiki hut with wet bar and sound system with charcoal grill seating for 60 9 HP spa with 6 water features at pool Private double-pump Jacuzzi on deck of upper home 2 Picnic areas with charcoal grills and 45' tiki hut that will sit up to 60 people Bonfire ring with furnished wood Coin-op washer and dryer 61” Sony HDTV in upper home, with over 200 channels 42' HDTV in lower home, with over 200 channels Queen-size beds Full kitchen in upper home and Partial kitchen in the lower home Screened-in patio and deck for each home High-speed wireless internet Awesome wildlife viewing and so much more... check our website for more details. Awesome place! This is the perfect place for a large family weekend getaway. We had plenty of room and spent most of our time at the Tiki bar looking out over the water. We enjoyed the kayaks, canoes, pool, and hot tubs. This place had everything we needed and the owner is a nice guy. I would highly recommend this place! The rooms are decorated in an island style decor that makes you feel as if you’ve reached a place of utter relaxation and well you have! Owners on site to fix problems at all times we didn’t need anything fixed but they where always kind enough to offer their help! While it was just too windy to kayak during this trip my kids had a blast in the pool while me and my husband could relax in the hot tub, the tiki bar is great for watching out for dolphin activity at all times and I know we will be returning come scallop season to take the owner Ken up on his offer to guide us out to the scallop beds from the private dock. Being out in the seclusion of this island is worth every minute of your time no hustle and bustle of busy commuters and no loud noises unless you make them yourselves! First off I want to say that only being able to give this property a single rating is unfair because there are areas that deserve better ratings than others. Secondly I wanted to say that the owners Ken and Elizabeth were spot on and very timely with responses to questions and request. And ken was spot on with his recommendations. The best part about the property is the kayaks, personal boat ramp, and the obstructed views. And you do get free satellite tv and WiFi. This property is beautiful and has the potential to be a 5star property. It was mentioned that the owner is ready to move on to something else but still....As we arrived and were greeted by ken we were given a tour of the property. Most everything looks to be as if it hasn’t been touched in years. Everything was clean but it just looked like it could have used some updates to a few amenities like the pool and the lighting around the pool. The speaker systems need updated. We ended up using our personal wireless speakers. The speakers jacks will not work for newer iPhone 8 and up. The tiki bar was nice. It has plenty of seating, a full size refrigerator, and a sink. There is cabinet storage outside. Never could get the fans to work at the tiki bar and would have helped on the nights with the bugs when there was no wind. The fire pit was cool. We really liked the bench/tables at the pit. There’s a outdoor light at the pit also for you to use while night fishing. We fished heavily and caught mostly catfish. So don’t expect to load your cooler up from m this bank. Go get a guide. Outdoor furniture downstairs is rusted and falling apart. A lot of the sliding doors were too stiff for small children to slide. The shower water will scald you if you have it very hot and another water tap is opened. The above ground pool looks like it’s seen it’s better days. The waterfall is badley stained. Only one of the 2 jets worked in the hot tub. I wish I had better things to say bout this place. It’s not a place that grew on me and I’m sorry but I couldn’t recommend it. And all the cameras did kind of start to creep me out. Don’t expect 5 star amenities at the property. More like 5 star views with 2-1/2 star amenities. Thank you for your recent review. We do try to ensure that each guest has a unique experience here at Paradise Found Island. Although we try to ensure that everything is up to certain standards there are some things that we do miss. Please understand that within the past 18 months we have been hit with two major hurricanes and a few major storms. We are currently in the process of redoing the waterfall as well as replacing the patio furniture. As far as the two cameras, they were actually disco lights that were being mounted out at the tiki hut. We do try to make sure that if we are aware of any problems that they are fixed within 24 to 48 hours this did happen with the fans and the sound system in the tiki hut. Had we been aware of the issue with the sliding glass door, we would have addressed it within the hour. Phenomenal resort! From the beginning I had a good feeling about this place as I thought the reference to Milton's literary classic was very clever. The experience was far better than I could have even hoped for, as for the price of a decent hotel room in some cities you basically get your own private island resort! Words cannot describe and even picture don't do this sanctuary justice. Do yourself a favor and give it a try. I can guarantee you will be telling all your friends and coming back to stay again! we stayed at this island and were more than pleased! we had a great time with no problems at all. the owner was close for anything we needed or questions that we had otherwise we really didnt see him. the pool was gorgeous! loved sitting on the deckside by the pool and just lounging and having a great time with friends. i was a little surprised when we got there, the homes were much nicer and more comfortable than what the photos show. ken, the owner, took us on a jet ski tour out to the gulf and we seen a ton of dolphins and some stingrays and even a couple sharks! great day! what can i say other than GREAT VACATION!! Homosassa Springs Wildlife State Park is one of the best places in the state to view manatees, some of which are treated here before being released into the wild. An excellent value at $13/adult, $5/child, spend the afternoon at the zoo and research center (15 minute drive from Paradise). Rainbow Springs State Park offers swimming, snorkeling, canoeing and kayaking, hiking and wildlife viewing (squirrels, otter, turtles, alligators, songbirds, hummingbirds, red-shoulder hawks, osprey, barred owls, and various water birds). Weeki Wachee Springs is where underwater performances by mermaids (women wearing fish tails) can be viewed in an aquarium-like setting. Visitors can swim at Buccaneer Bay, see the Misunderstood Creatures Animal Show, or take a riverboat ride down the Weeki Wachee River. 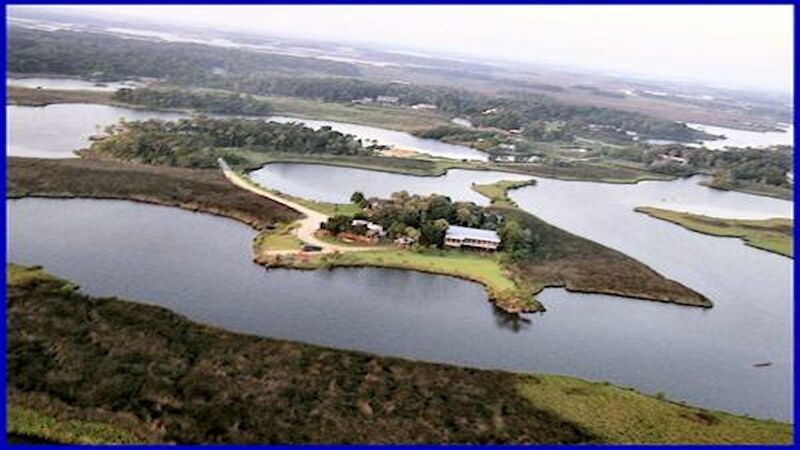 Crystal River Archaeological State Park is a 61 acre National Historic Landmark, activities include salt and fresh water fishing, bird watching and a boat tour of Crystal River. Yulee Sugar Mill Ruins Historic State Park contains the remnants of the once-thriving 5,100-acre sugar plantation, serving as a supplier of sugar products for southern troops during the Civil War. Take a manatee snorkel trip for as little as $30 (let us know and we can book it for you). Many Orlando area amusement parks and attractions are just a day trip away.